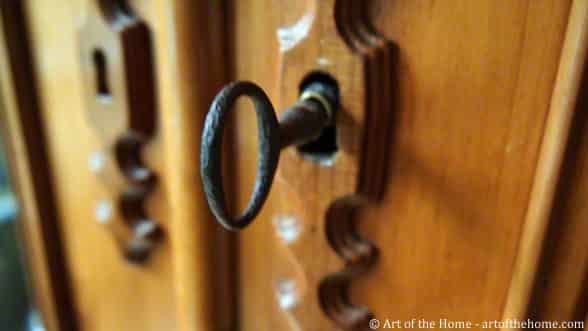 Did you know you can quickly fix a sticky lock (door, suitcase, armoire, cabinet, etc.)? And the answer is in your children or grandchildren school backpack! Ask them for help, they’ll be so proud to save the day. This tip also works when you come home with a new key from the hardware store. New keys don’t always slide easily inside the door lock at first but there is an easy fix for that as well. So check Art of the Home tip below on how to fix a sticky lock in a flash – and no need to drive to the hardware store! You can quickly fix a sticky lock by simply coloring over the teeth of your key with a lead pencil. Then insert the key inside the door lock, turn it a few times — and voilà!